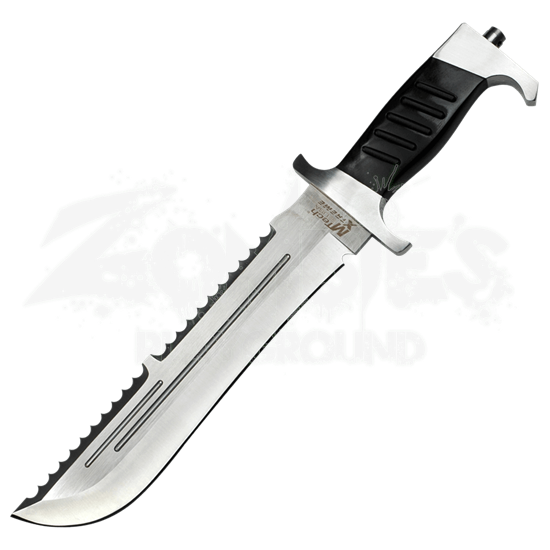 This is the knife of a highway pirate from some future apocalypse, and you can own it now and reserve a spot as a highway pirate with the Road Warrior Combat Knife. Wither it is pulled from a boot, out of a saddle bag, from a table top, or from in between its owners teeth this knife screams outlaw. 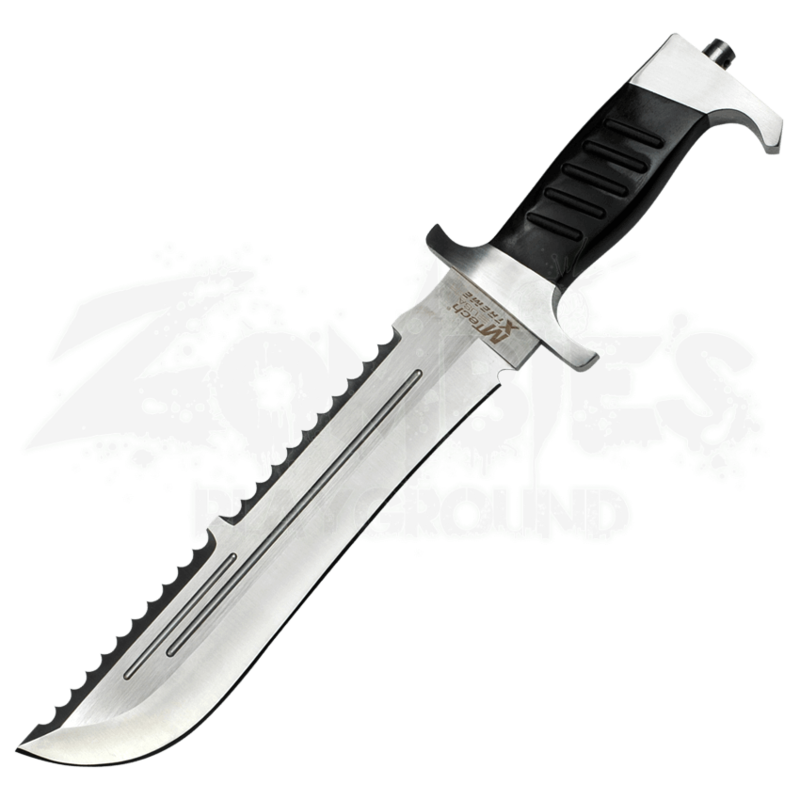 With a satin finished stainless steel serrated spine blade you know this bad boy can cut. The thick wooden handle with metal pommel completes this knifes look with some practical functionality. This knife includes a faux leather sheath so you can carry this bad blade around knowing no animals were harmed. Get the Road Warrior Knife and get your first piece of equipment for pillaging the open road.